You are here: Musculoskeletal Imaging/J. Andrew Hill, M.D. Joined Boise Radiology Group in July 2009. In 2003, Dr. Hill graduated from University of Washington School of Medicine where he subsequently completed a four year residency program in radiology. Residency training included rotations through the four University of Washington hospitals and numerous outpatient clinics, incorporating four months at Seattle Children’s Hospital. 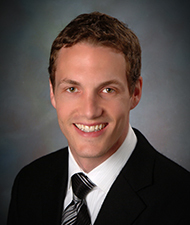 A fellowship in Musculoskeletal Imaging followed at the University of Wisconsin. In his spare time, Dr. Hill spends time with his family along with riding bikes, snowboarding and reading a good book.